This is referred to as a indictable charge. The case may proceed as a plea of guilty or as a trial in the County or Supreme Court. It is important to be represented before the hearing as adverse findings may have a severe impact upon a person’s career, registration or business. I am a Melbourne based Criminal Defence Barrister practicing in all courts. I have particular expertise in criminal trials, utilising years of criminal law experience and knowledge to obtain the desired result for each and every one of my clients. I am one of Melbourne’s most experienced criminal defence lawyers and available to appear on your behalf in all key court and tribunal systems. 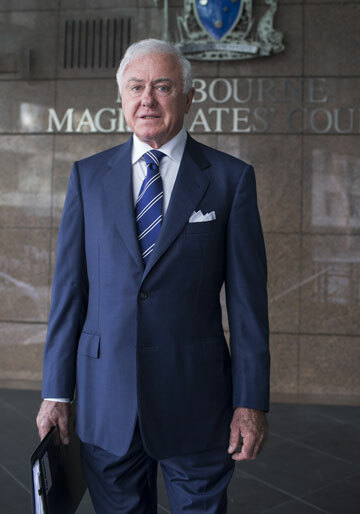 I have been briefed to appear in the all major courts throughout Melbourne and Australia, including the Supreme, Federal, County and Magistrates Court. I can also offer defence services in VCAT cases. Outside criminal law, I have first-hand engineering experience gained from employment in various heavy construction projects and oil drilling both in Australia and overseas. This worldwide industry knowledge can be expertly applied to any related case.